Addictionologist Dr. Fred J. 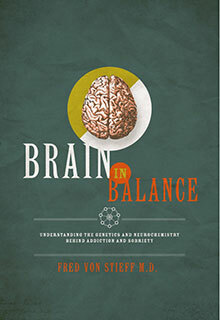 Von Stieff explains human brain function and clarifies the steps necessary to obtain lasting sobriety and relief from cravings in his book, Brain In Balance. Brain in Balance is for ALL chemically dependent individuals, their loved ones, and the medical professionals treating them. The majority of substance abusers use alcohol and drugs to self-medicate an unknown existing mental illness or innate chemical imbalance. 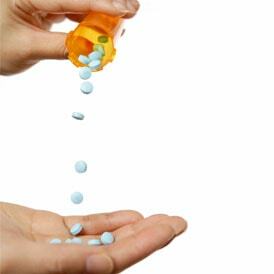 However there is a safer and quicker way to detoxify off of highly addictive pain-killers and anti-anxiety medications using the pioneering methods of Addictionologist Dr. Von Stieff. These advancements reveal that usually a physiological disorder is at the foundation of addiction with roots in genetics and neurochemistry, which must be remedied with up-to-date treatment strategies. Is Revolutionizing the way the world views and treats the brain and addiction. His unique methods of focusing on each patients’ balance of neurotransmitters throughout detoxification and beyond (with particular attention on cravings), which deliver phenomenal results. How by astutely adjusting the brain’s neurochemicals, addressing mental health issues, and correcting the physiological causes behind cravings, he can put patients’ back in control of their lives, leaving them feeling better both physically and emotionally. Around the world, this book is having a massive impact on people’s lives by revealing the methods behind attaining record-breaking and lasting results. Patients and their loved ones, to clarify the physiological reasons behind why patients feel and act the way they do. 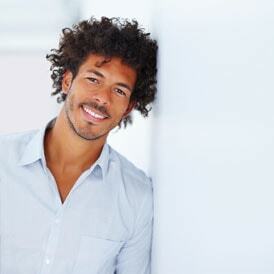 Medical professionals who treat individuals struggling with substance abuse. Order Brain in Balance today, and discover all the latest treatment breakthroughs surrounding the brain and addiction. With his new book, Brain in Balance: Understanding the Genetics and Neurochemistry behind Addiction and Sobriety, Dr. 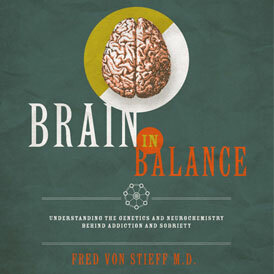 Von Stieff offers a fresh new approach to methods in detoxification and addiction recovery by shedding light on the understanding of how alcohol, drugs, and medications affect the brain and its neurotransmitters.